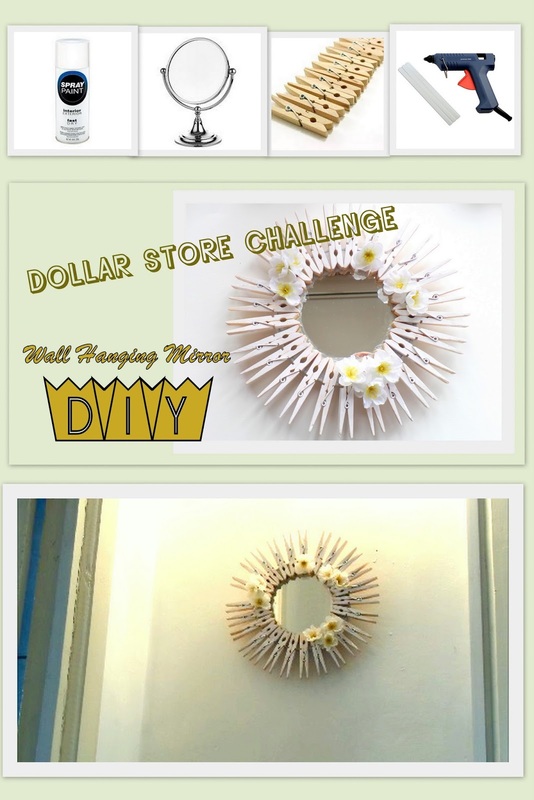 I never found the dollar store very attractive,especially not in the home decor department, because you can sense the "cheap" effect from most of the things exposed. Nevertheless, the dollar store is a magical place for a crafter like myself, a place where you can find inspiration to create beautiful things on a budget. This is my first project of this kind but I feel that there will be others in the future. At first I was temped to paint this mirror cover in antique gold , because I noticed a trend with these types of mirrors, but then I thought that a white cover with flowers will be more cute and add more brightness to my home.It is up to you what color you choose in the end. Remove the backing support of the mirror and identify one of the holes that it unveiled .Cut a piece of string and tie a knot at the end creating a loop. Squeeze the ends through the hole, until the knot touches the mirror frame and the loop hangs in the air. Add super glue and press it down for 10 seconds. You can add some extra glue with the glue gun. This will be your mirror hanger. Glue the cloth pins on the mirror edge using the glue gun, leaving a little space between them. At the end it should look like a sun. Cover the glass mirror with tin foil and spray paint it. I added only one layer of paint because I like the wooden touch from the cloth pins. If you like a matte, white look add 2 or 3 layers of paint. After dried, rip some fake flowers and glue them on the mirror cover. I positioned them randomly. you can create a pattern or you can fully cover it with flowers. It's up to you. Hang it on the wall and take a look. 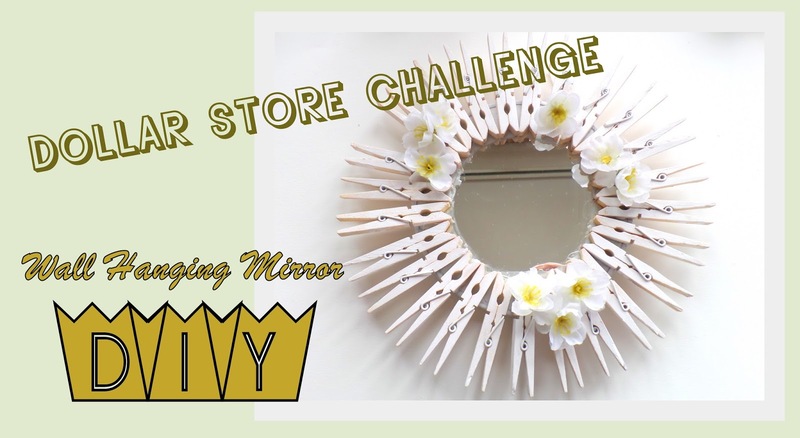 You will look like a queen trough this mirror. Trust me!